Cloud storage service, one of the most important services in the cloud computing, can offer high-quality storage service for tenants. By employing the cloud storage service, the resource-constraint data owners can outsource their data to the remote cloud server to reduce the heavy storage burden. Due to the attractive advantages, there are an increasing number of data owners prefer to embrace the cloud storage service. However, the data owners will lose the direct control over their outsourced data, and they can not directly execute operations over their outsourced data, such as data deletion operation. That will make outsourced data deletion become a crucial security problem: the selfish cloud server may not honestly perform the data deletion operation for economic interests, and then returns error results to mislead the data owners. Although a series of solutions have been proposed to solve this problem, most of them can be described as “one-bit-return” protocol: the storage server removes the data and then returns a one-bit deletion reply, and the data owners have to trust the deletion reply because they can not verify it conveniently. 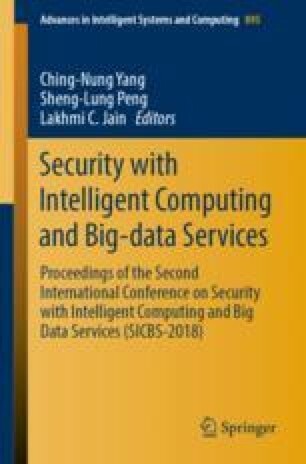 In this paper, we put forward a new publicly verifiable data deletion scheme with efficient tracking for cloud storage. In our novel scheme, the remote cloud server executes the data deletion operation and returns a deletion proof. If the remote cloud server maliciously reserves the data backups, the data owner can easily detect the malicious data reservation by verifying the returned deletion proof. Besides, we utilize the primitive of Merkle Hash Tree to solve the problem of public verifiability in data deletion. Furthermore, our scheme can realize efficient data leakage source tracking when the data are leaked, which can prevent the data owner and the cloud server from exposing the data designedly to slander each other. Finally, we prove that our novel scheme can satisfy the desired security properties. This work was supported by the Open Projects of State Key Laboratory of Integrated Service Networks (ISN) of Xidian University (No. ISN19-13), the National Natural Science Foundation of Guangxi (No. 2016GXNSFAA380098) and the Science and Technology Program of Guangxi (No. AB17195045).